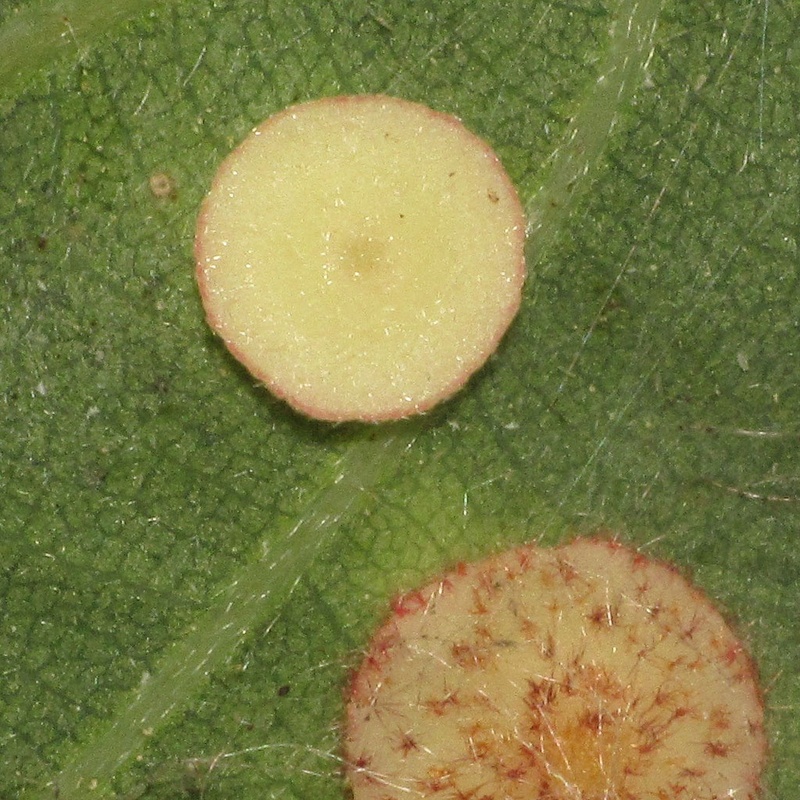 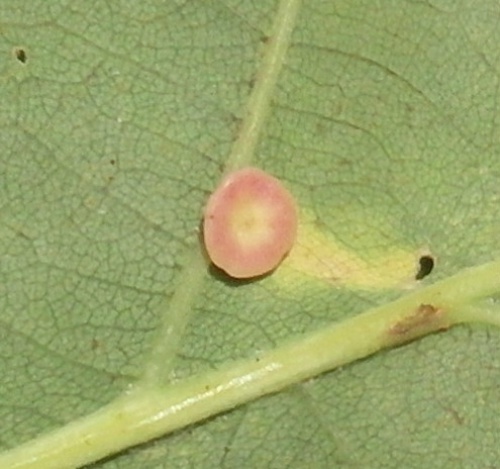 These galls are found on the underside of Oak leaves and are thin and flat in shape, hairless with a slightly raised rim, measuring up to 5mm across. 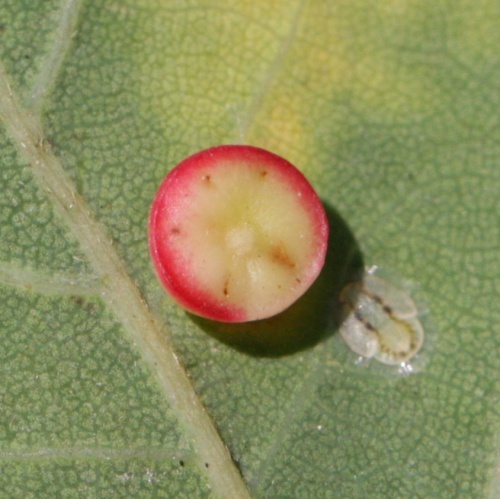 The colour is generally cream or pale green, sometimes with a pinky-red rim or blotches. 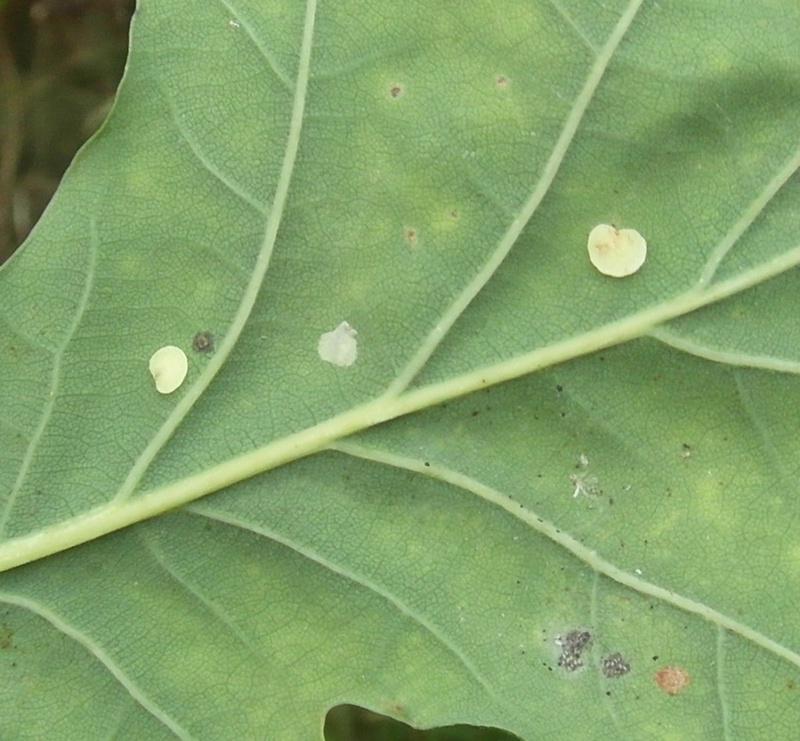 They are never found in large numbers on a single leaf. On the leaves of oak. 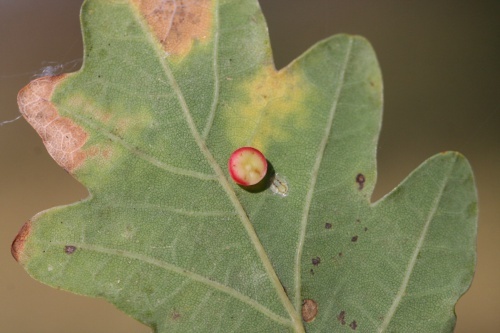 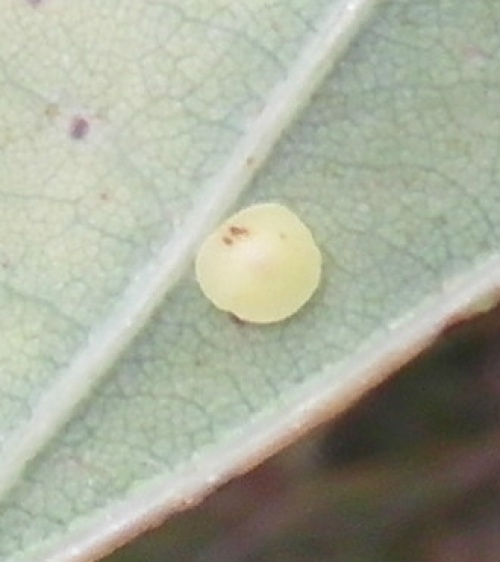 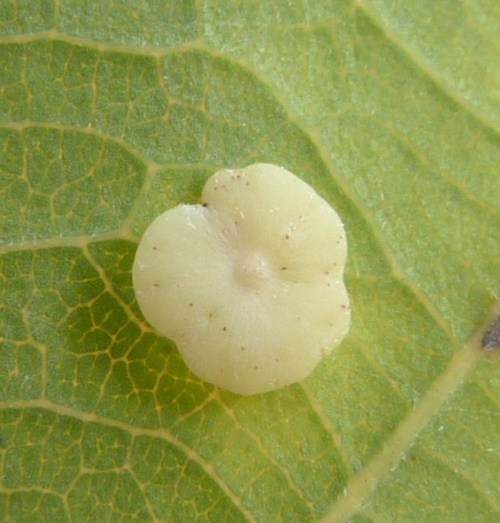 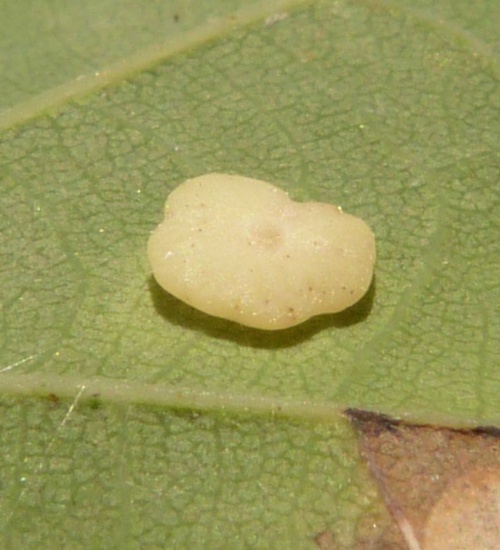 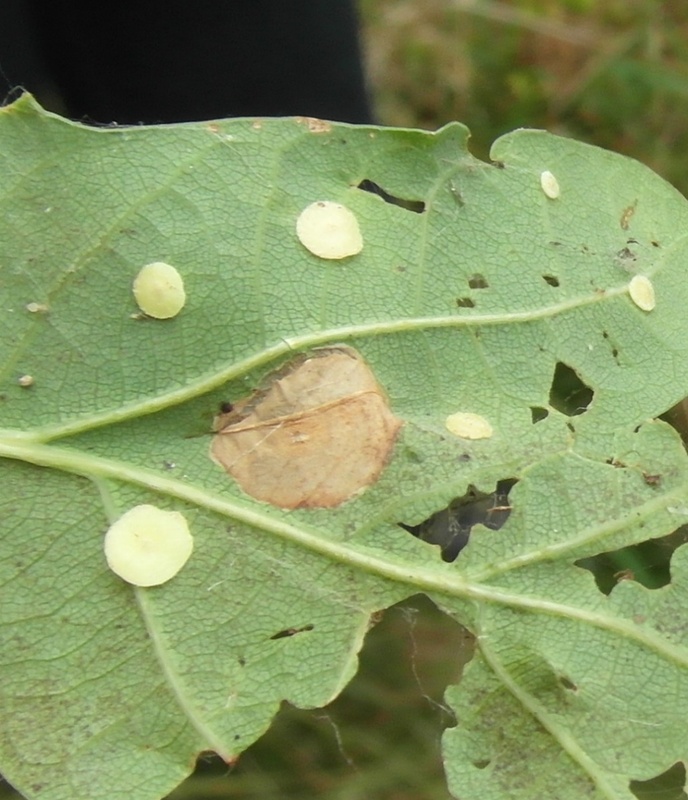 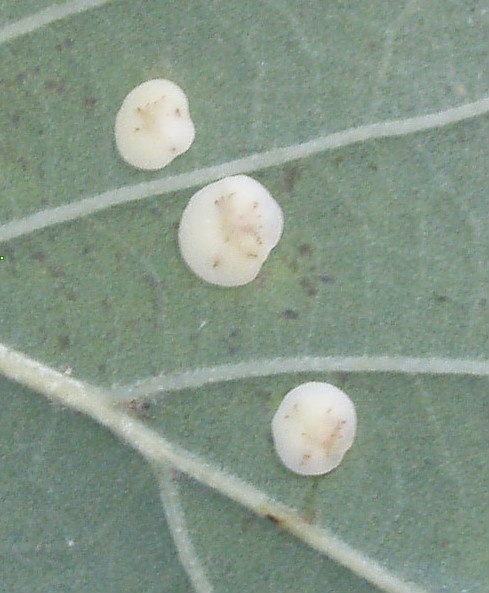 Mature galls fall from the leaves in autumn and the adult insects emerge in early spring. 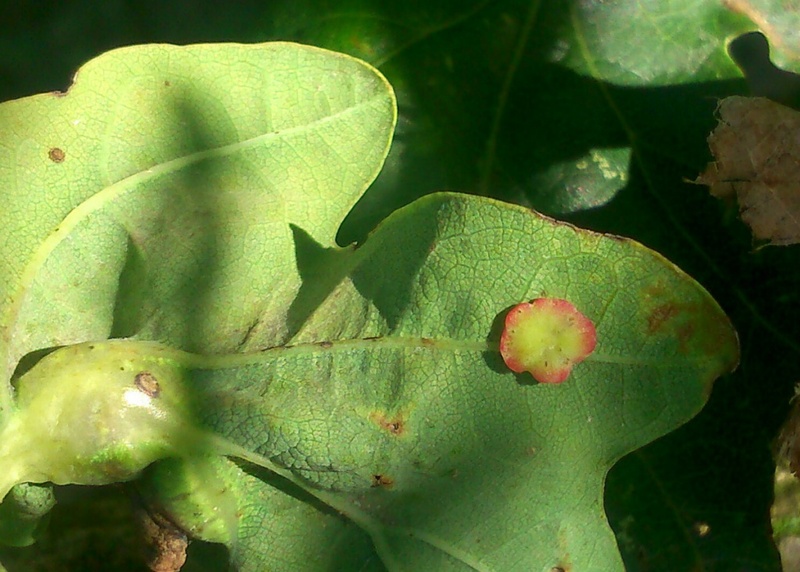 These galls are caused by the asexual generation of the wasp. The sexual generation form tiny egg-shaped galls between leaf nodes in the spring.